Considered "among the most important composers writing in this country" (D. Ariaratnam, The Record), Alice Ho is a Hong Kong-born Canadian composer acclaimed for her "distinctly individual" style and "organic flow of imagination". She has written in many musical genres and received numerous national and international awards, including the 2014 Prince Edward Island Symphony Composers Competition, 2014 Kitchener Waterloo Symphony Friendship Orchestral Composition Competition, 2013 Dora Mavor Moore Award "Outstanding Original Opera" for her opera Lesson of Da Ji, 2013 Boston Metro Opera International Composition Competition, K.M. Hunter Artist Award, du Maurier Arts Ltd. Canadian Composers Competition, MACRO International Composition Competition, Luxembourg Sinfonietta International Composition Prize, and International League of Women Composers Competition. Her work "Glistening Pianos" for two pianos (Centrediscs label) was nominated for the 2015 JUNO Award Classical Composition of the Year. Often featured at national and international new music festivals such as ISCM World Music Days, Ottawa Chamberfest, Denmark's CRUSH New Music Festival, Asian Music Week in Japan, etc. 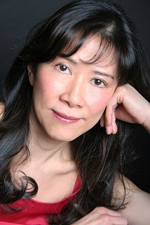 ; her works have also been performed by many major ensembles and soloists including China National Symphony, Polish Radio Choir, Finnish Lapland Chamber Orchestra, Esprit Orchestra, the Toronto, Vancouver, Winnipeg, Victoria, and Windsor Symphonies, Amsterdam's Neuw Ensemble, Penderecki String Quartet, Toronto's New Music Concerts, Continuum New Music, percussionists Sumire Yoshihara and Beverley Johnston, violist Rivka Golani, and St. John's Duo Concertante. Her discography includes releases on the Centrediscs, Blue Griffin, Electra and Phoenix labels. Ms. Ho holds a Bachelor of Music degree in composition with high distinction from Indiana University and a Master of Music degree in composition from the University of Toronto. Her teachers have included John Eaton (USA), Brian Ferneyhough (Germany), and John Beckwith (Canada).